The background why the FARC came into existence is directly connected with Communism in Colombia. It began as a military flank of the Communist Party; since then the US and the Colombian government is considering it as a terrorist body. The duration in the late 1940s is referred to as La Violencia in Colombia. About 200,000 people got assassinated. In 1953, with the Colombian Liberal Party losing control, the army under General Gustavo Rojas took control. Amnesty was offered by Rojas to the fighting groups in case they laid down their arms. Certain groups, however, turned against to include the communists. 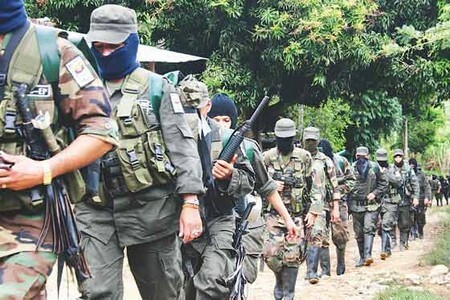 The Colombian Communist Party established guerrilla units in the region. Those units were commanded by Jacobo Arenas. Therefore, the chief cause why the FARC was formed remained to oust Gen. Rojas as well as other groups struggling for regime in the region. During the late 1950s, civilian regime was enforced in the country. Nevertheless, the Colombian Communist Party was winning ground in many regions, esp Sumapaz and Marquetalla. By 1964, the government planned to contain it by initiating a military campaign. The communists led by Arenas and Manuel Marulanda retaliated. Over time they would assume the leadership of the communists. During the 80s, the communists were strong enough to resist despite of splits due to members of discontent. Since the reason, why the FARC was formed, was to battle the state, the critics contend that it went across the ideology. They proclaim the organization’s engagement in the drug trafficking. With capital running in the drug business, the group began employing it to finance their operations. By 80s the group set up the Patriotic Union Party, even thought it still had links with the Communist Party in Colombia. At present the organization has approximately 12,000 supporters. The group is scattered all over southeast Colombia, particularly in the wild area. Their existence has also been identified at the summit of the Andean mountains. Most governments brand it a terrorist group with few exceptions such as Venezuela and Cuba. Apart from the cocaine trade, its involvement has also been traced into bombing and abduction. Their leaders’ stance is to fight for the oppressed. They believe that FARC was founded to put an end to the oppression and exploitation of the lower class by the upper. 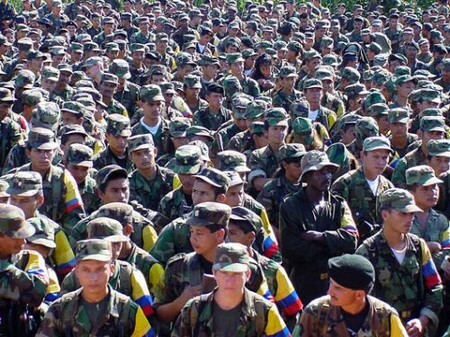 The organization also condemns the prolonged meddling of the US in Colombian affairs. They maintain that the US and the Colombian authorities are maneuvering to strip the region of its natural wealth. Though they do acknowledge violence on their part, yet they maintain that they can negotiate. Moreover they are being interrogated of the conditions, such as prisoners’ release, to cease fighting. The command denies the charges to have employed the under age, instead they agree to have employed 15 years or older. Communism was the root cause of the FARC formation. However, owing to its involvement in subversive activities, it’s a potential threat to peace and security in the region.